The last decade in the Bay Area has become the epicenter of a very specific type of large scale industrial arts projects. 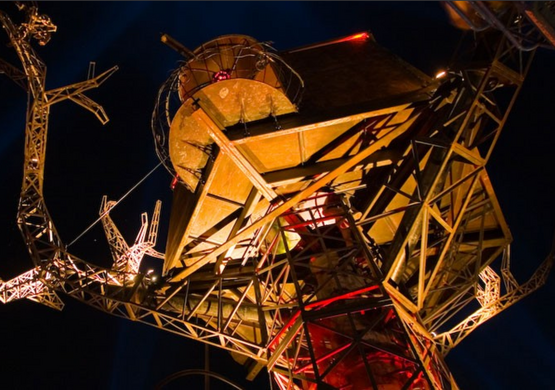 From Burning Man installations, to local site-specific pieces and temporary environments, we'll be looking at the creative environment and the stories behind some of our favorite installations. Joining us for the evening to share stories: The Oakland based arts collective Five Ton Crane had produced several amazing large works from the Steampunk Treehouse, to the Raygun Gothic Rocketship (until recently on display at the Embarcadero) and the Vernian-inspired mobile art vehicle, the Nautilus.